The most complete edition of the fifth installment in the cult fighting game series Dead or Alive. The first version of this game was released in 2012 on seventh generation consoles. Dead or Alive 5 Last Round for PC, PS4 and etc. is an extended and final version of the three-dimensional fighting game. This edition was enriched with content that was previously available only in DLC sets and in the arcade version of the game. The title was once again developed by the Japanese studio Team Ninja and the Tecmo Koei. 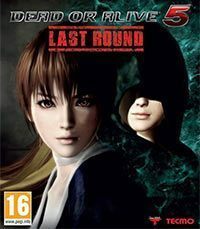 The original Dead or Alive 5 was released in 2012 on Xbox 360 and PlayStation 3. A year later the title was released on PS Vita and received an update called the Ultimate version. The Last Round edition is the debut of the series on PC, PlayStation 4 and Xbox One. The developers improved the graphics and special effects, as well as adapted the game engine to 1080p resolution. These improvements are only available on PC and next-gen consoles. Traditionally for the series, the battle system is a very dynamic and complex combination of aggressively pushing the enemy to the wall and deflecting attacks, which can be directed at various body parts, divided into upper, middle and lower sections. Dead or Alive 5 Last Round contains very dynamic duels and great graphics. As in its predecessors, the game contains multi-level arenas that allow throwing the enemies onto lower levels. The game offers arenas scattered through the whole world that are filled with destructible objects. The developers prepared more than a dozen of game modes – including advanced online battles options that are the base of every good console fighting game. The players can also use new modes that were added in the Ultimate version – tutorial and Combo Challenge. A characteristic trait of DOA 5 is the fact that each character has access to a dozen accessories and outfits to unlock (there is more than 300 of them in total). These customizable items don’t affect the gameplay like in Tekken, but allow changing the look of favorite warrior. Last Round offers the largest lineup of characters in the history of the series. One can play as: Hayabusa, Hayate, Kasumi, Ayane, Rig, Momiji, Leon, Kokoro, Tina, Lisa, Brad Wong, Jann Lee, Hitomi, Leifang, Christie, Eliot, Leon, Gen Fu, Bayman, Bass, Zack, Helena, Marie Rose, Phase 4, Nyotengu, Akira, Pai, Jacky and Sarah Bryant.